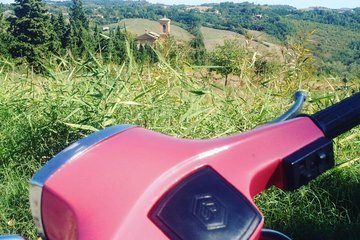 On a self-guided Vespa tour, discover Bologna’s ‘route of resistance,’ which represents the separation of Italy during World War II into the section that was freed by Allied forces and the section that was still under Nazi occupation. Follow a route that takes you past WWII battle sites like Marzabotto, and visit the Resistance Museum (Museo della Resistenza) to see a collection of artifacts from this period of Italian history. This is a great way to enjoy a day of sightseeing at your own pace and experience the Italian tradition of driving your own Vespa.